Borderline Personality Disorder and Addiction: How Do They Occur? The combined effects of borderline personality disorder and addiction are challenges for both the patient and their doctors. In essence, this coexistence can be lethal at times. Borderline personality disorder (BPD) is a serious mental illness with severe mood swings, behavioral changes, and impulsiveness. Consequently, these unpredictable emotional responses and bursts of anger may also lead to relationship problems. In addition, they often misdiagnose it. When you compare the coexistence to a single disorder, they pose a greater risk to the patient. Furthermore, it increases the incidence of drug addiction. A recent study shows individuals with BPD crave alcohol more than social drinkers. Unfortunately, the symptoms of borderline personality disorder often overlap with those of other personality disorders. Consequently, this makes the diagnosis more complicated and in many cases, can cause mistakes their diagnosis. Borderline Personality Disorder and Addiction: Which Comes First? There is a clear link between BPD and addiction. However, it’s very difficult to determine whether BPD is a cause or effect of addiction. As a result, many hypotheses have been made to clarify the relation between BPD and addiction. The “self-medication hypothesis” is one of them. The Self-medication hypothesis shows many symptoms of borderline personality disorder as major influences for drug addiction. In fact, people with those symptoms abuse substances such as opioids to feel good and achieve mental stability. Over time, drugs begin to take control of the brain and addiction eventually sets in. Findings show that alcohol and drugs are most common addictions among people with BPD support this hypothesis. Nevertheless, it is too early to jump into conclusions and say that BPD is the major cause of addiction. Consequently, we will need more further studies to confirm the role of BPD in addiction. Are You at Risk of Co-existing BPD and Addiction? Have you been abusing some drugs or alcohol and being scared about the risk of developing BPD? The following information will help you determine if you are in the red zone. Remember, the risks are amplified by drug use. Your genes could be the culprit: Your risk increases five folds if any of your first-degree relatives has had BPD. Social and environmental factors: Many people with BPD have been found to have a history of abuse or some kind of traumatic experiences. Nevertheless, you cannot hold these factors responsible for BPD. Biological factors: These include abnormal brain structures or functions that may lead to BPD. There is no single treatment that can assure a cure. This condition is very complicated. Furthermore, doctors often make mistakes in diagnosis. As a result, treatment for BPD can be very tricky. However, a careful assessment of the symptoms and their relevant addictions make up the core of the treatment. Ultimately,it will be a team effort. Active participation of the patient, family members, and many different healthcare professionals are crucial. As with other illnesses, treatments that start early have higher chances of doing well. Doctors will design it to improve and stabilize the patient’s life. Furthermore, a combination of psychotherapy and drug therapy may help the patient. Dialectical Behavior Therapy for Substance Use Disorders (DBT-SUD): This therapy for BPD and addiction focuses on making their life better and keeping them off drugs longer. It does this by empowering the patients. It includes methods for motivation, adaptation, and creating new behaviors. Dual focus schema therapy (DFST): The major aim is to prevent relapse of addiction. Through a continuous effort, it tries to change the patient’s negative picture of themselves, their environment. Furthermore, it tries to develop different coping techniques. We still have much to find out and the conditions are very complicated. As a result, it may take a while before the launch of a definitive treatment. However, it does not mean you or your loved one has to bear the pain forever. The available treatments and addiction experts can help you enhance your quality of life. In addition, they may minimize the severity of symptoms. Do you have any questions about borderline personality disorder and addiction? You should talk to the experts to get accurate information. Additionally, you can also learn more about specific drug addictions from them. We can connect you with the addiction experts in your area, Click here for details. 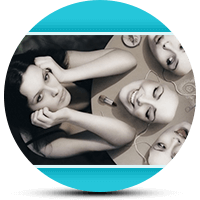 Addiction Resource » What is Addiction: Definition of Abuse » Borderline Personality Disorder and Addiction: How Do They Occur?